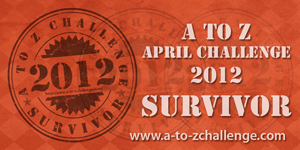 We have been asked to write a post reflecting on our A to Z April Blogging Challenge experience. This is mine. I have an alphabetical reflection list written out but during writing, this post morphed into something else, so I am going to let it go where it wants. 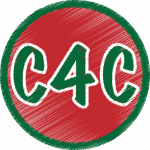 My blog had been up and running for exactly two weeks before the Challenge started so I was itching to get going. Being the noob that I am to the blogging world, I didn’t really understand all the talk amongst the experienced bloggers of having a theme for the Challenge. I now understand the utility of that – keeping your posts confined in that way gives you focus and simplifies the task somewhat. I’ll be heading into next year’s Challenge with a theme. The where many highlights of the Challenge for me. Living in Australia, I was one of the first to post on day one which felt awesome! I visited some amazing blogs to see how it’s done, the creative talent out there is incredible! I felt connected in most instances to the Challenge blogs I read simply because the author and I were facing the Challenge together. Visited by some incredible bloggers, I felt very fortunate to also have some of the Challenge convenors swing my way. The Challenge gave me a wonderful opportunity to build my blog content and to play around a little to see what works and what doesn’t. I am still scratching my head because there doesn’t appear to be any real rhyme or reason as to what an audience will like. Some days you nail it, some days all you do is hit your thumb! Whilst the Challenge was a demanding mistress, it taught me the benefits of a daily blogging discipline and it was comforting to have a daily programme. I admit I often changed my blog topics and I went into the Challenge knowing I would have to wing some of the letters. But inspiration always came and sometimes at the VERY last minute. …especially if you are new to blogging! A suggestion for next year. As a noob, I would have liked to get to know and talk to a few novice bloggers before the Challenge so we could make all our mistakes and grow as bloggers together and support each other. There didn’t appear to be an appropriate Challenge forum to do that or I didn’t know about it. The Facebook page swept up all non convenor posts. Maybe Twitter was the way to go, but I only recently became a member. I would have also appreciated the chance to join a couple of basic blogging workshops or opportunities for test runs ahead of the Challenge run by some of the experienced bloggers. If the convenors take up this suggestion, then I would be happy to be involved/facilitate because as a noob you are grateful for any advice and attention thrown your way – at that stage of the game a little bit of cyberkindness goes a looooooooong way. I realise all it takes is time, which is a scarce commodity for most. Otherwise a fantastic concept and a great job, well done! A big thanks to Arlee Bird from Tossing it Out and Tina Downey from Life is Good, two of the convenors who showed me some cyberkindness during the Challenge. It is much appreciated. Posted on 08/05/2012 by the curtain raiser •	This entry was posted in Blogging and Writing and tagged a to z blogging challenge, blogging, reflections, Writing. Bookmark the permalink. You did a great job as a noob…imagine the possibilities of having months of experience under your belt. Very well done! I wasn’t in on the challenge but I thought you did VERY well. Congrats! Thank you Tess. I learned a lot and am grateful for your wonderful feedback. It’s a nice community here. Thanks for stopping by my place too, C. Apologies for the late response, I have been away. 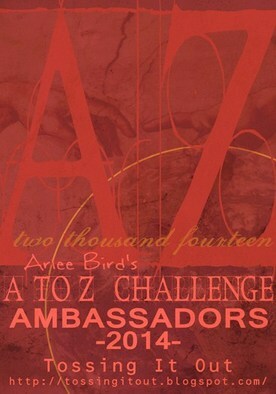 A to Z is about the best way to break in a blog that I can think of. The co-hosts discussed setting up a forum. We had so much going on though that we were reluctant to add this–maybe next year. 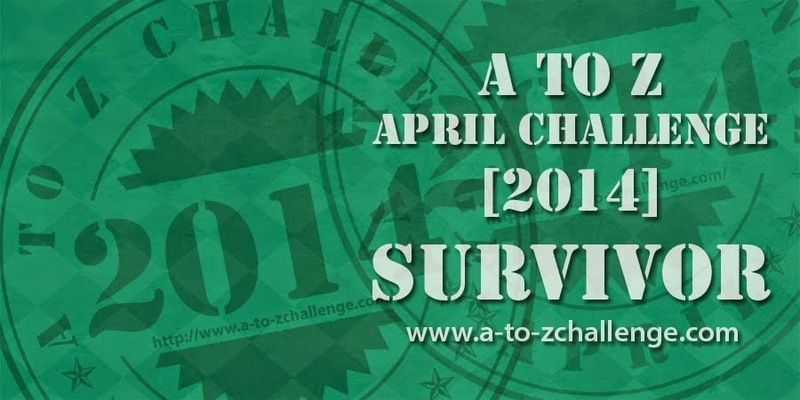 The A to Z Blog did offer a lot of helpful information in the months leading up to the Challenge with opportunities for bloggers to ask questions in the comment section. A lot of people took advantage of this and I think these posts were very helpful. I answered a number of questions directed through Facebook and I believe Damyanti helped several inquiries on Twitter. A chat forum will be something we can hopefully explore before next April. Thanks for the Reflections post and for breaking in your blog in the A to Z Challenge. Thanks for the feedback, Lee and apologies for taking so long to respond…I have been away. Having joined the party fairly late, it looks like I missed a lot of good stuff taking place early on. It’s good to know that there are knowledgable bloggers like you, Tina and Damyanti to answer questions and impart wisdom.